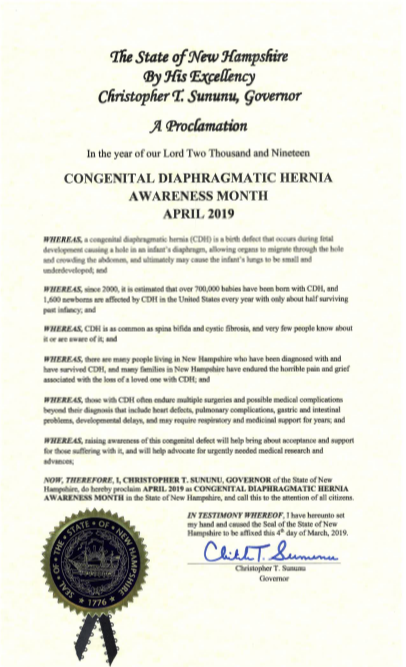 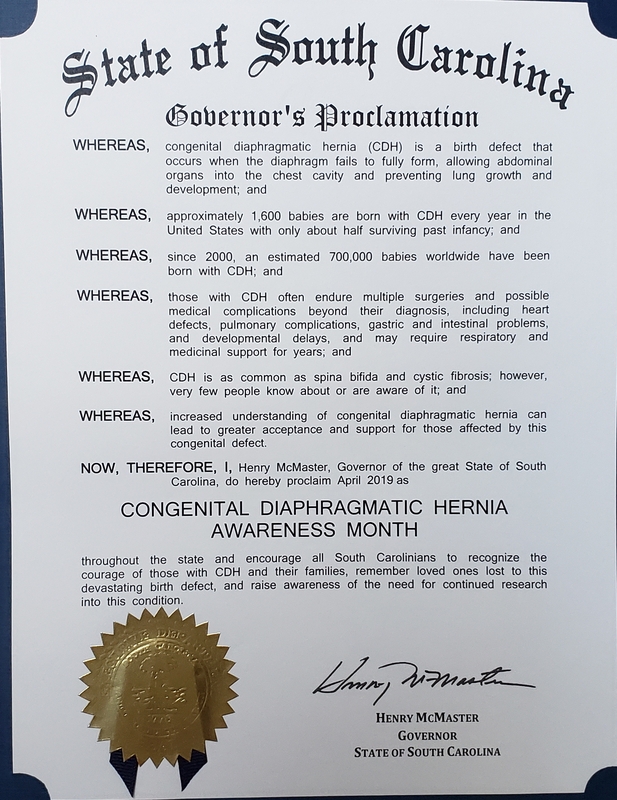 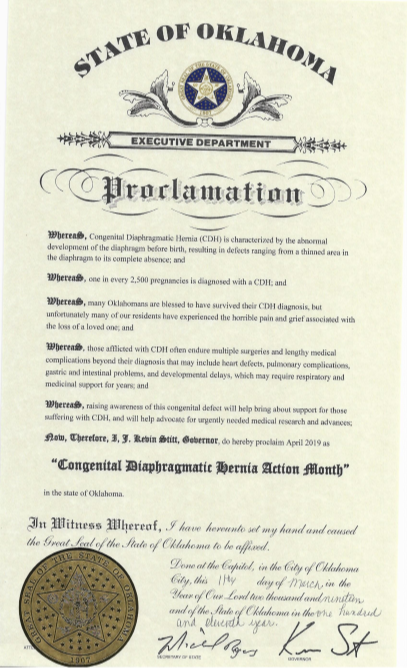 The governor of the state of Oklahoma has proclaimed that April 2019 be a month that citizens of the state to recognize and raise awareness of Congenital Diaphragmatic Hernia. 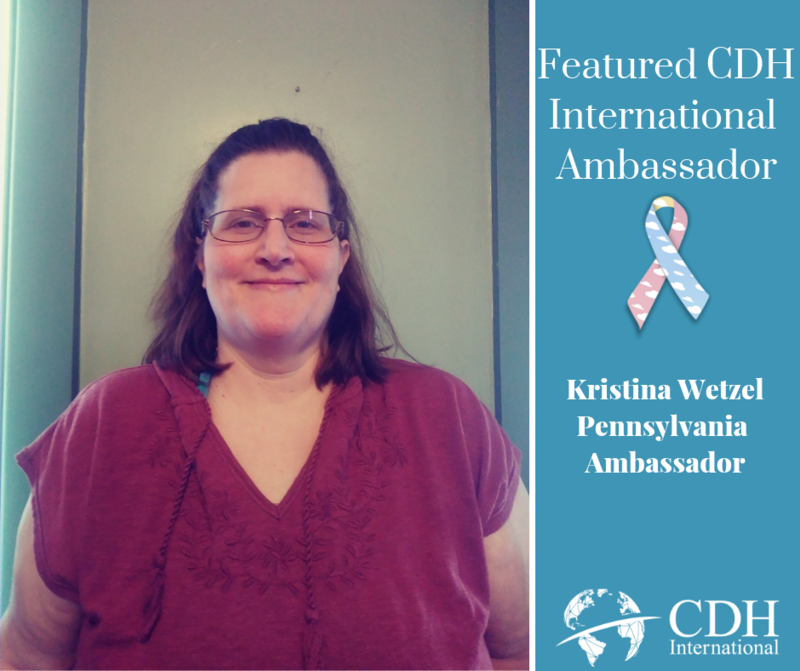 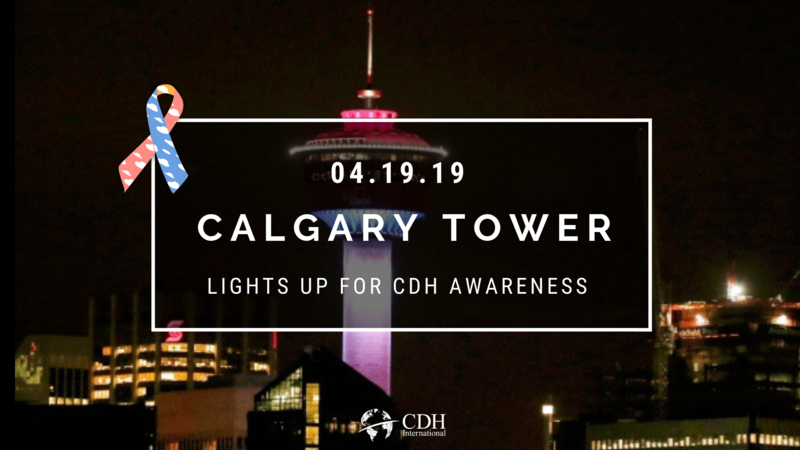 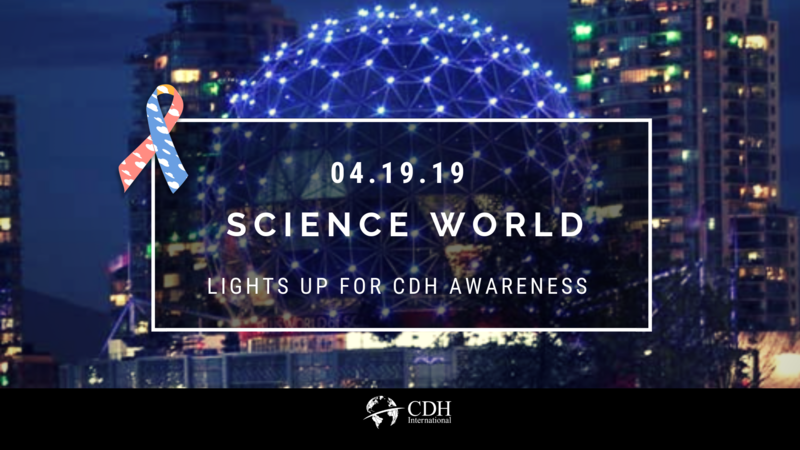 Join us in raising awareness on CDH Awareness Day, April 19th, and all month long. 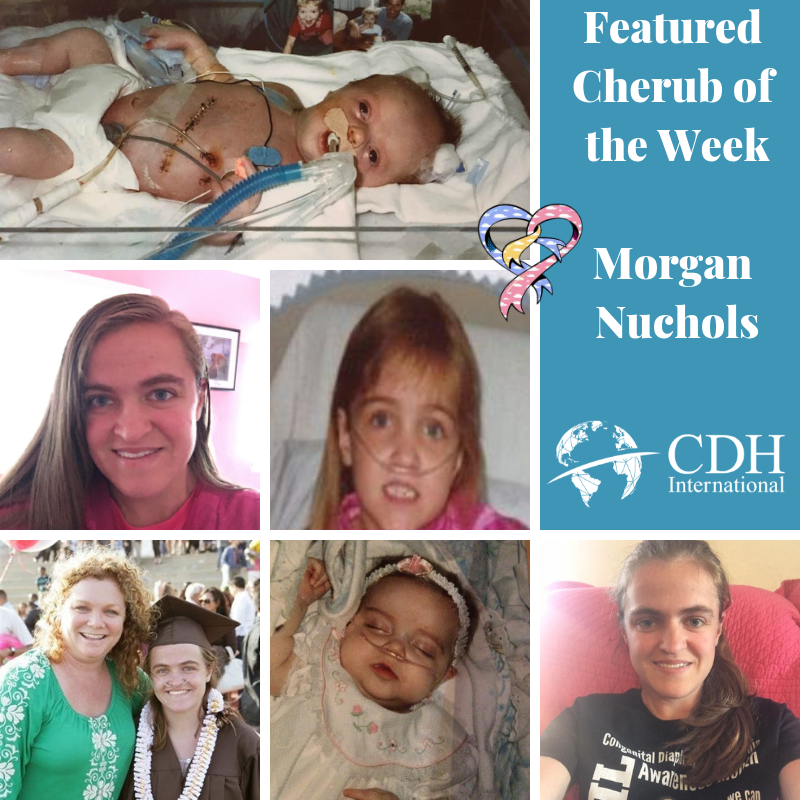 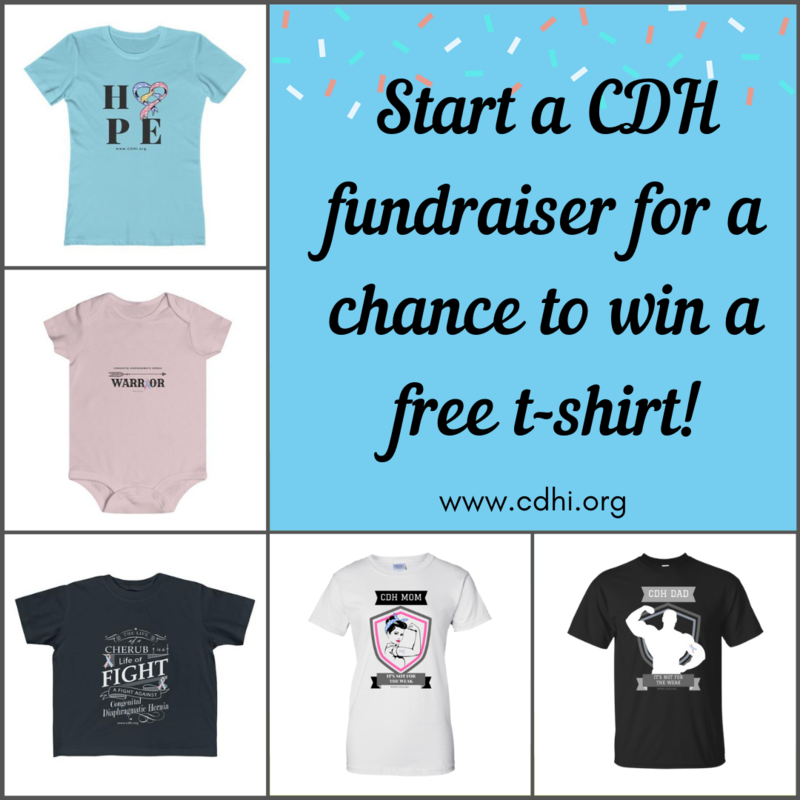 Start a CDH fundraiser for a chance to win a free t-shirt!